FRANKFURT -- Auto parts supplier Continental AG said it has factored slowing Chinese growth in auto sales into earnings projections and won't be revising the outlook in the wake of comments from a Chinese official on Tuesday. Gu Xianghua, deputy secretary general of the China Association of Automobile Manufacturers, said that 2012 sales will probably miss an 8 percent growth forecast because of the "difficult" economic backdrop, and that total vehicle deliveries may fail to increase by even 5 percent. "It's ridiculous," Continental CEO Elmar Degenhart said in an interview ahead of a press briefing in Hamburg. "Nothing will change, nothing. We told the press three weeks ago, we are calculating with a growth in China of 5 percent. Nothing has happened. So we will not change our outlook." The company's stock fell 4.6 percent on Tuesday, mirroring declines across the industry, but today it rose as much as 1.71 euros, or 2.5 percent, to 70.23 euros and was up 2.2 percent as of 9:53 CET in Frankfurt. BMW, Mercedes-Benz and Audi are offering discounts of 20 percent or more off the sticker price of their top-end models in the world's largest auto market, according to cheshi.com, which tracks prices at more than 3,000 Chinese dealerships. China is VW's biggest market, while it's the third-largest for both BMW and Mercedes. Less than 5 percent growth would result in China's auto market expanding at a slower pace than the estimated increases in the United States, Japan and India. Pessimism is mounting over sales in the world's largest auto market after Premier Wen Jiabao this month forecast gross domestic product may expand 7.5 percent, the lowest target since 2004, and fuel prices were increased for the second time in less than six weeks today. "Even if the Chinese economy only grows 7 percent, then the car market has to grow by at least 5 percent," Degenhart told journalists later in Hamburg, adding that the Asian car market as a whole will grow about 5 percent this year, offsetting declines anticipated in Europe and North America. "We know how the Chinese try to compensate with support measures if things look like they're entering dangerous territory." 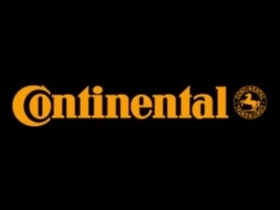 Continental said March 1 that revenue would increase by more than 5 percent this year, exceeding 32 billion euros, having earlier predicted gains of 7 to 8 percent. It cited a contraction in the European car market for the reduction. The pending alliance between General Motors and PSA/Peugeot-Citroen may create opportunities for Continental, Degenhart told the journalists. While a modular system of the sort GM and Peugeot may implement creates challenges for parts suppliers, only Robert Bosch GmbH, Denso Corp. and Continental are able globally to provide all the necessary components, Degenhart said.